In a small bowl, mix seasonings; sprinkle over both sides of chicken. In a large nonstick skillet, heat oil over medium heat. Brown chicken on both sides. 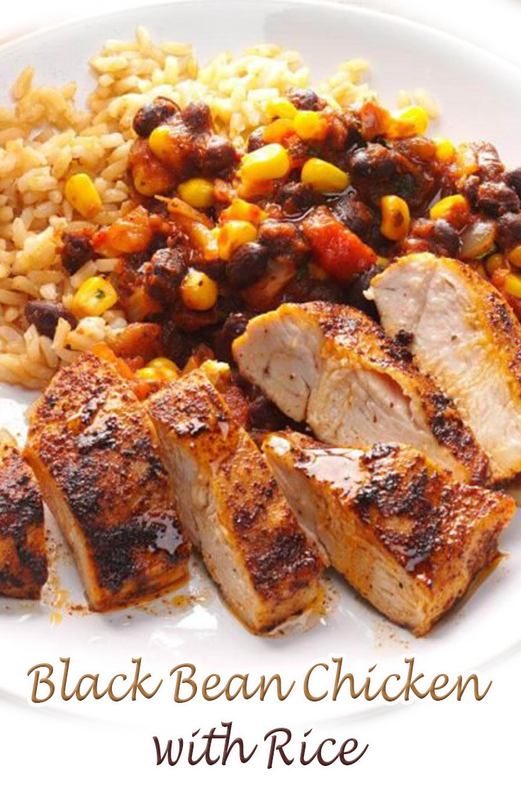 Add beans, corn and salsa to skillet; cook, covered, 10-15 minutes or until a thermometer inserted in chicken reads 165°. Remove chicken from pan; cut into slices. Serve with bean mixture and rice.